Kick off your visit on the 4th (Tue): witness a stunning natural landmark at Reykjadalur Hot Springs, get to know the fascinating history of Reykjavik Open Air Museum, then enjoy the sand and surf at Yntri Tunga Beach, and finally appreciate the history behind The Statue of Leif Eiriksson. On the next day, enjoy the sand and surf at Nautholsvik Geothermal Beach, enjoy breathtaking views from Perlan, and then get your game on at Laugardalslaug. To find where to stay, maps, ratings, and other tourist information, refer to the Reykjavik road trip planner . Jackson, USA to Reykjavik is an approximately 19.5-hour flight. The time zone changes from Central Standard Time (CST) to Greenwich Mean Time (GMT), which is usually a 6 hour difference. When traveling from Jackson in September, plan for cooler days in Reykjavik, with highs around 52°F, while nights are slightly colder with lows around 43°F. Wrap up your sightseeing on the 5th (Wed) early enough to travel to Akureyri. Kick off your visit on the 6th (Thu): pause for some serene contemplation at Akureyrarkirkja, then take in nature's colorful creations at Arctic Botanical Gardens (Lystigardurinn), then stop by Flora, Akureyri, and finally get up close to creatures of the deep with a dolphin and whale watching tour. Get ready for a full day of sightseeing on the next day: take a pleasant ride with a tour on horseback. For reviews, more things to do, other places to visit, and other tourist information, refer to the Akureyri trip site . You can fly from Reykjavik to Akureyri in 2.5 hours. Alternatively, you can do a combination of bus and flight; or drive. In September in Akureyri, expect temperatures between 52°F during the day and 40°F at night. Wrap up your sightseeing on the 7th (Fri) to allow time to drive to Reykjahlid. 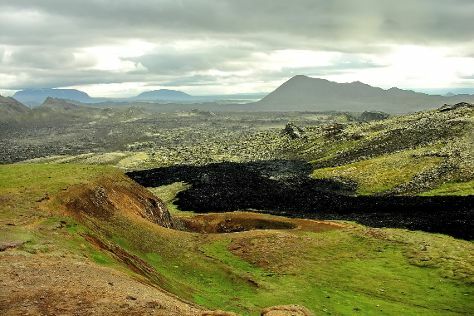 Start off your visit on the 8th (Sat): make a trip to Viti Crater, identify plant and animal life at Krafla Lava Fields, and then take your sightseeing to a higher altitude at Mt. Namafjall (Namaskard). On the 9th (Sun), you'll have a packed day of sightseeing: admire the sheer force of Hverfjall, then witness a stunning natural landmark at Hverarond, and then explore the striking landscape at Mud Pots. For traveler tips, where to stay, reviews, and more tourist information, read Reykjahlid road trip planner . Drive from Akureyri to Reykjahlid in 1.5 hours. Alternatively, you can take a bus. 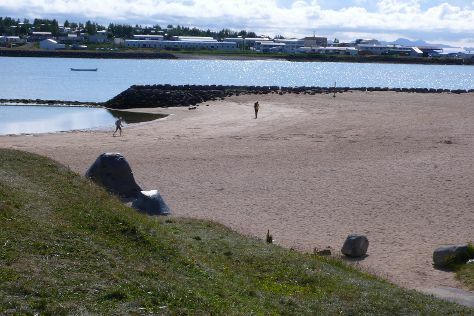 In September in Reykjahlid, expect temperatures between 52°F during the day and 40°F at night. Wrap up your sightseeing on the 9th (Sun) early enough to travel to Hof. On the 10th (Mon), contemplate the waterfront views at Fjallsarlon Iceberg Lagoon, make a trip to Diamond Beach, then take in the dramatic natural features at Flaajokull Glacier, and finally take in the dramatic scenery at Svartifoss Waterfall. To see where to stay, ratings, other places to visit, and other tourist information, go to the Hof itinerary planner. Drive from Reykjahlid to Hof in 7 hours. In September, daytime highs in Hof are 52°F, while nighttime lows are 45°F. Cap off your sightseeing on the 10th (Mon) early enough to travel to Kirkjubaejarklaustur. Kick off your visit on the 11th (Tue): explore the striking landscape at Kirkjugolf, take in the dramatic scenery at Systrafoss, take in the dramatic scenery at Stjornarfoss, then contemplate the geological forces at Skaftarstofa, and finally take in breathtaking views at Fjadrargljufur Canyon. To find more things to do, reviews, maps, and more tourist information, read Kirkjubaejarklaustur travel itinerary planner. Traveling by car from Hof to Kirkjubaejarklaustur takes 1.5 hours. Wrap up your sightseeing on the 11th (Tue) to allow time to drive to Vik. Start off your visit on the 12th (Wed): pause for some photo ops at Voyages Friendship Statue, get engrossed in the history at Skogasafn, take in the dramatic scenery at Gljufrafoss, then take in the dramatic natural features at Myrdalsjokull Glacier, and finally take in the dramatic natural features at Sólheimajökulll. Keep things going the next day: stroll through Reynisfjara Beach, enjoy the sand and surf at Black Sand Beach, and then contemplate in the serene atmosphere at Vik Church. To see ratings, reviews, more things to do, and tourist information, go to the Vik trip itinerary planner. 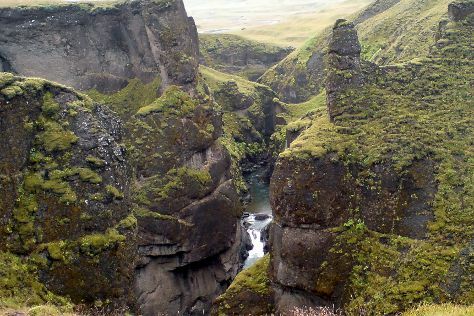 You can drive from Kirkjubaejarklaustur to Vik in 1.5 hours. Alternatively, you can take a bus. September in Vik sees daily highs of 50°F and lows of 46°F at night. Finish your sightseeing early on the 13th (Thu) to allow enough time to travel to Hellnar. Step off the beaten path and head to Dritvik and Djupalonssandur and Kirkjufell Mountain. Get outdoors at Snaefellsjokull National Park & Glacier and Kirkjufellsfoss. To see ratings and more tourist information, read Hellnar trip site . Getting from Vik to Hellnar by car takes about 4.5 hours. Wrap up your sightseeing on the 16th (Sun) early enough to travel back home.